Grammar exercise to practice the use of definite, indefinite and zero articles. 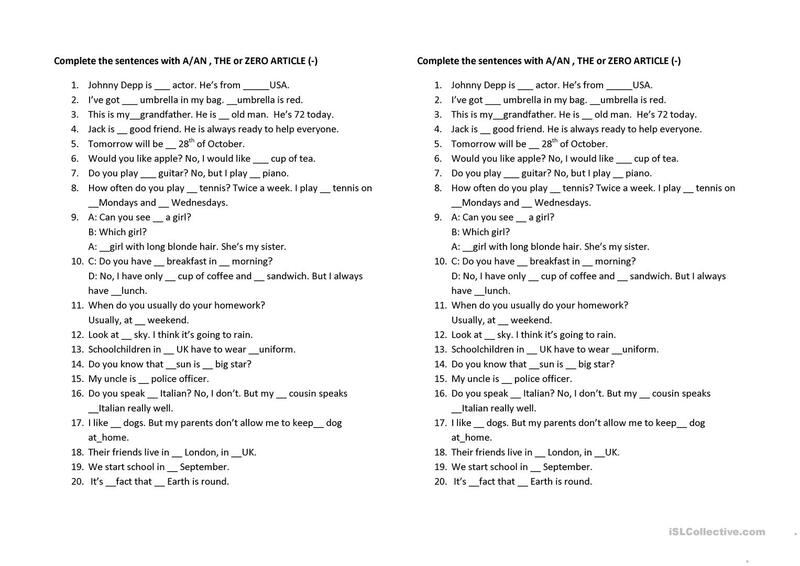 Students have to complete the sentences with one of the articles. 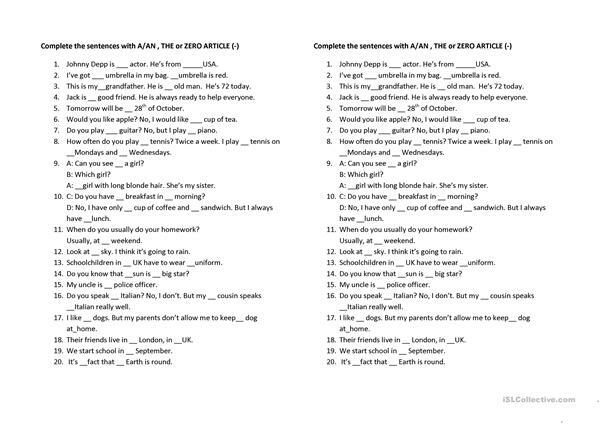 Review the use of articles before doing this exercise. The present downloadable teaching material is recommended for high school students at Elementary (A1), Pre-intermediate (A2) and Intermediate (B1) level. It is useful for strengthening your groups' Writing skills.